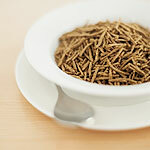 One of the greatest food cures possible in our diet is the hidden element of fiber. This is nothing new to anyone who pays the slightest attention to nutrition news. But the message is not completely being heeded across society. A new health review shows that we should all, collectively, be eating more dietary fiber. Our health depends on it. The research team looked at research conducted into dietary fiber over the past few decades — and this is not a small sample. Based on all these studies, they have identified the best and safest way to boost your fiber intake. Namely, to avoid initial problems such as intestinal gas and loose stool, it is best to increase your intake of fiber gradually. Also, spread high-fiber foods out throughout the day, at meals and snacks. Dietary fiber is sometimes referred to as “roughage.” It means the non-digestible parts of the fruit and vegetables. Soluble fiber is readily broken down or fermented in the colon. Insoluble fiber absorbs water as it passes through the digestive system, providing bulk for the intestinal muscles to work against and making digestion slow and healthy. Research has shown that modern food habits have led to an increase in obesity, heart diseases, and type 2 diabetes. This is a common refrain in Doctors Health Press. Western eating habits are even flowing into developing nations, where processed foods high in sugars and saturated fat, beef, and dairy products are replacing more traditional options that are naturally high in fiber. A loss of dietary fiber is a major risk factor for health problems — but one of the simplest to solve. It is not hard to choose foods wisely, particularly when grocery stores have so much available to us. Fiber has a vast array of actions in the body. Among them are lowering cholesterol, moderating blood glucose levels, keeping your gastrointestinal tract healthy, boosting your immune system, and ensuring calcium is properly absorbed and used. Getting more fiber could single-handedly protect you from heart disease, colon cancer, diabetes, weight gain, and many more serious health concerns.